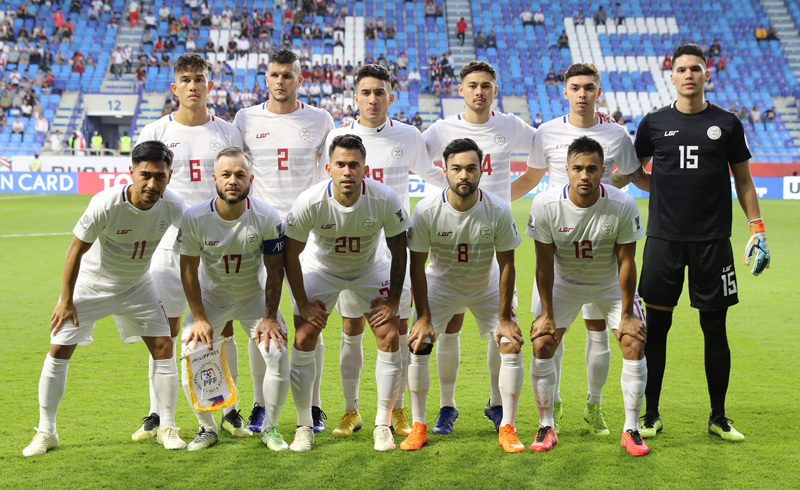 The Philippine Azkals will hold on to their flickering hopes in the Asian Football Confederation Asian Cup 2019. Beating the Kyrgyzstan White Falcons at the Rashid Stadium, Dubai in their 8 p.m. game (12 midnight Manila time) this Wednesday will allow them to become one of the third-placed teams to make it to the Round of 16 Knockout Stage. “There is hope, a small hope,” said Azkals’ coach Sven Goran-Eriksson after their 0-3 setback to the China last Friday. If the Philippines win, the Azkals will be able to extend their campaign in the Asian Cup for another game since four third-placed squads will have a chance to join the 12 qualifiers to the Round of 16. So far, Bahrain finished third place in Group A and has reached the next stage after a 1-0 win over India. Bahrain has joined early qualifiers Thailand, Jordan and the United Arab Emirates in the next stage. The Thais, who are in Group A with Bahrain, got their slot following a 1-all draw with the UAE. Jordan qualified following their second straight win at the expense of Syria in Group B. The White Falcons are on even terms with the Azkals since both are seeking wins in their first appearance at the Asian Cup. They are ranked 91st in the world, 21 rungs ahead of the Azkals (116). Eyes will be on Bakhtiyar Duyshobekov, the White Falcons’ top defensive midfielder, who has the big load of handling the team’s defense. He is expected to make it hard for the Azkals to score. The Azkals were able to hold their ground and create a few scoring chances in the second half, but Team Dragon of China showed too much class and beat them. The Mainland Chinese will clash with Korea in another game held simultaneously at the Al Nahyan Stadium in Abu Dhabi for the no. 1 and 2 spots in Group C.
Kyrgyzstan, which lost to South Korea, 0-1, also needs a big win like the Azkals to reach the next stage. The Azkals are in a different situation since their campaign in the AFF Suzuki Cup. They have four players who have seen action in the Philippine Football League last year, namely Stephan Schrock, Kevin Ingreso, De Murga and Patrick Reichelt. The others played in leagues in Europe or South East Asia.